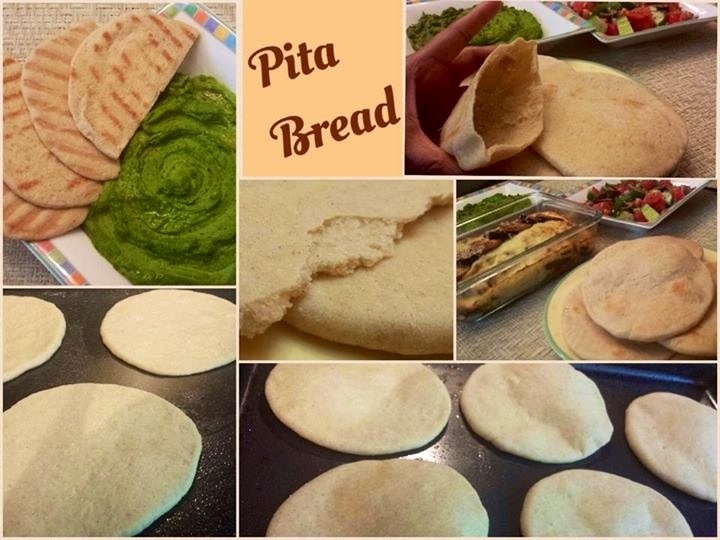 Homemade Pita Bread with a selection of 3 different types of delicious Hummus! Knead together with warm water to make a smooth dough! Pat with about 2 tbsp oil and keep covered in a warm place till doubles, about 1 hour. Now preheat oven to 475 degree. Roll out small balls of dough thinly. Place on a greased baking sheet. Bake for 4 minutes, flip and then 3 minutes on the other side. I like my Pita grilled with Hummus & Greek Salad! 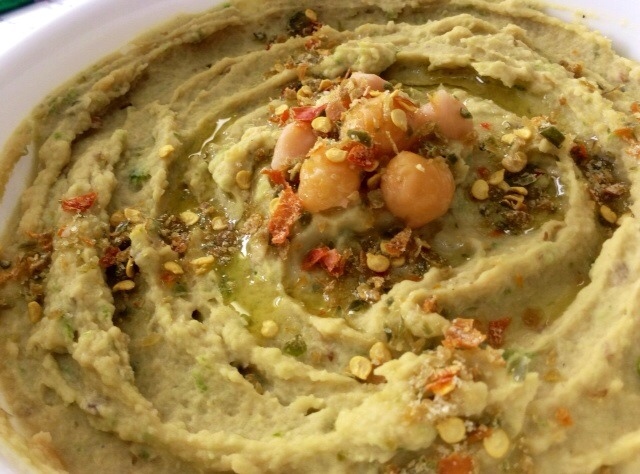 Smoked Jalapeño Hummus… For those who like it hot n spicy! 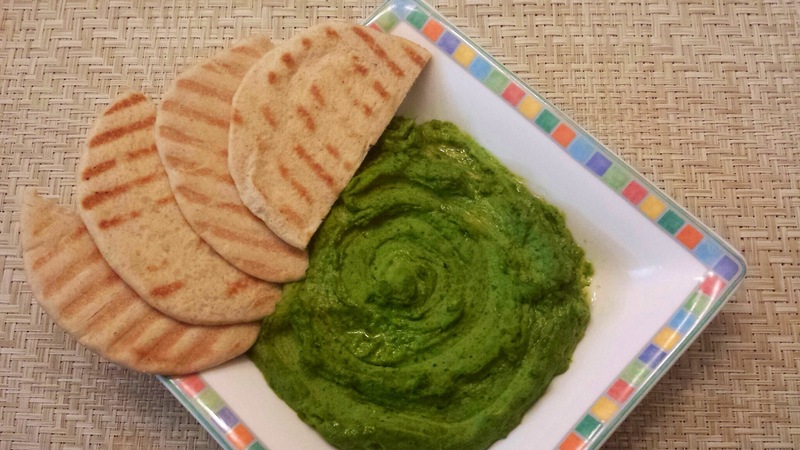 Spinach Hummus ….with a healthy servings of Greens! Pretty to look at and delicious to eat!! 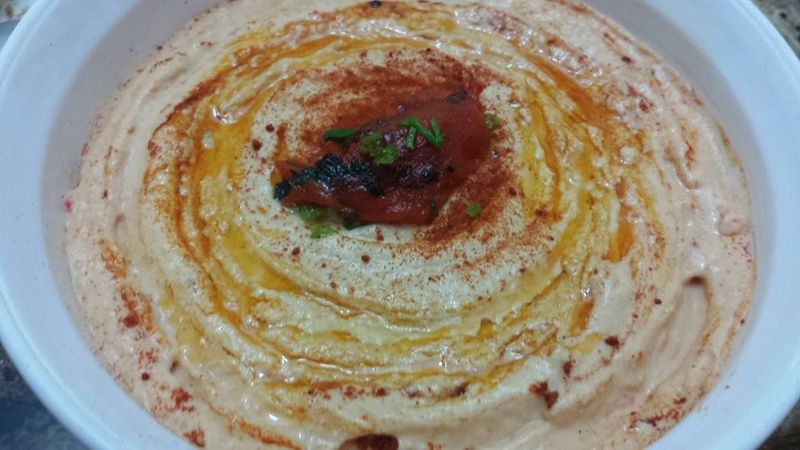 And if Spicy is not your thing…you will love this Delightful Hummus recipe that works with the subtle sweet flavors of roasted Bell Pepper! Green, Eggs & Ham….a warm omelette ribbon salad! How long can I store it stay in the fridge? Pita Bread and Hummus will last for up to a week in the refrigerator.